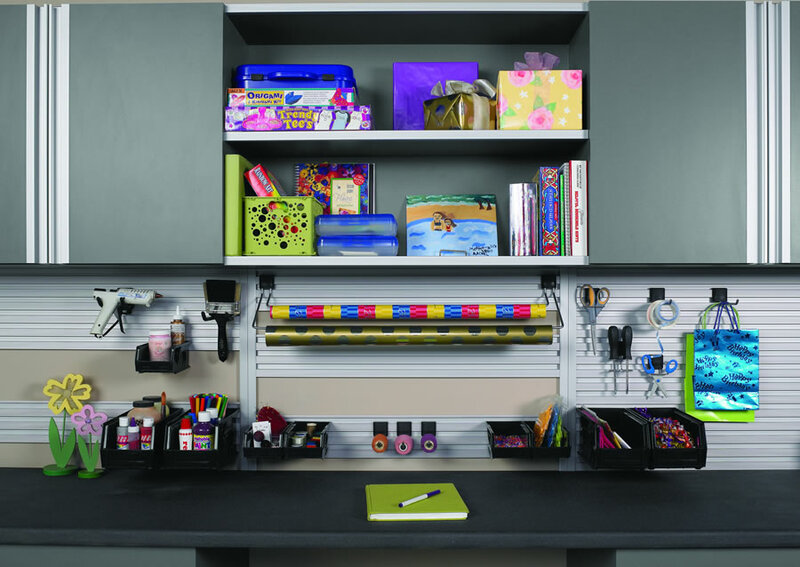 GETTING ORGANIZED NEVER FELT OR LOOKED SO GOOD! 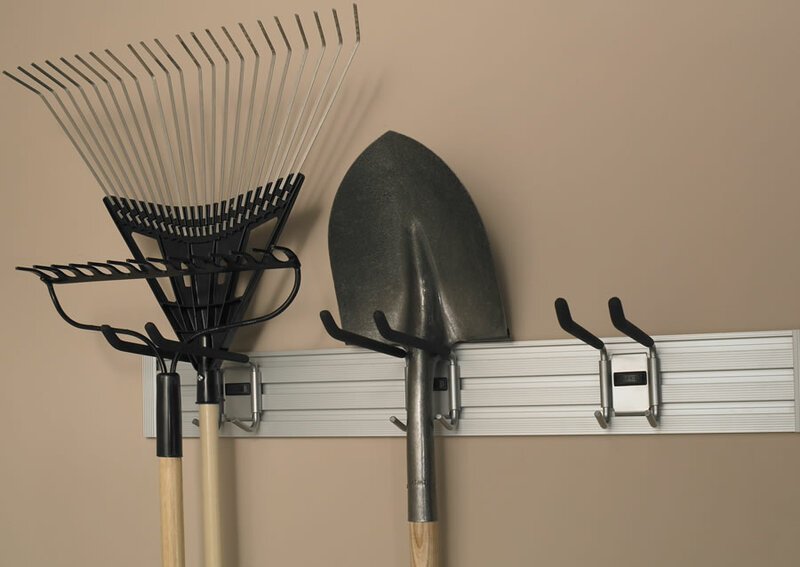 Maximize your storage space and easily find your tools, sporting equipment, bikes, and gardening supplies when you need them. 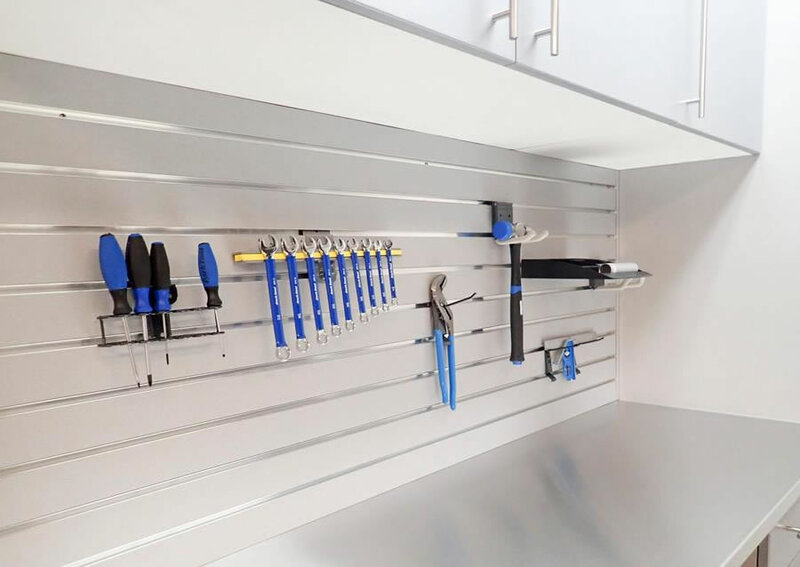 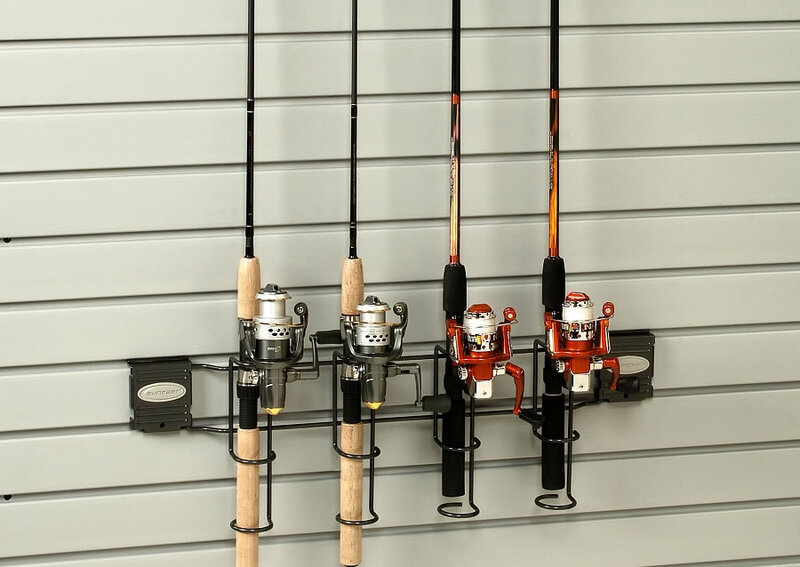 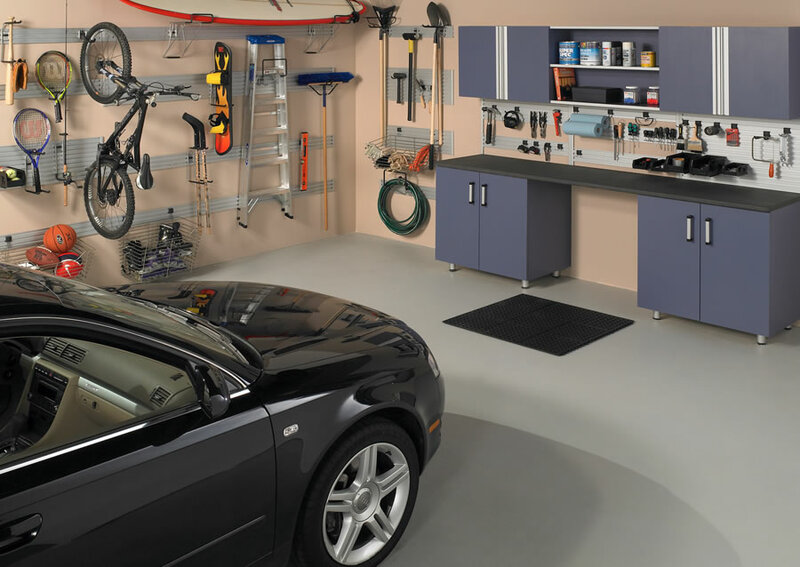 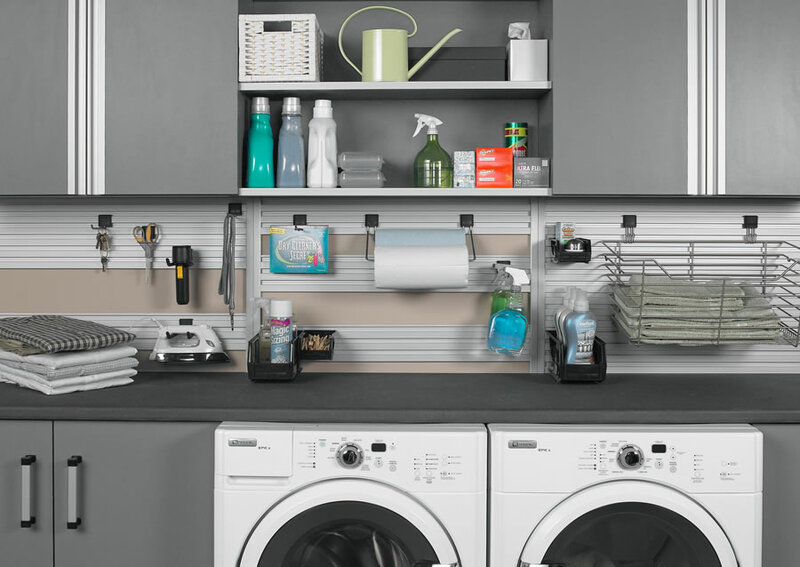 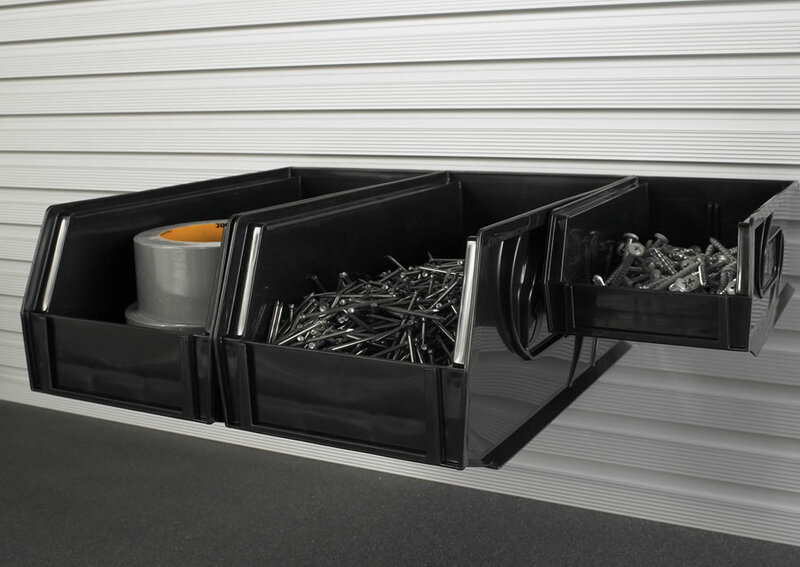 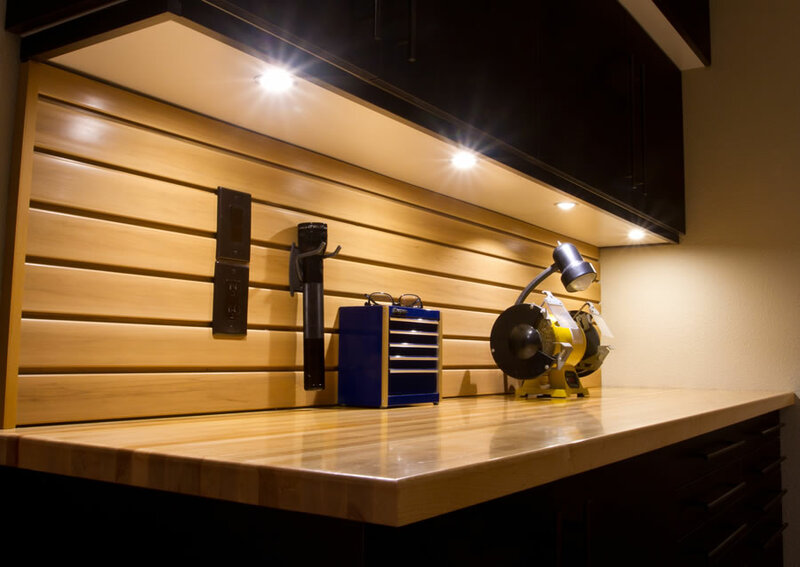 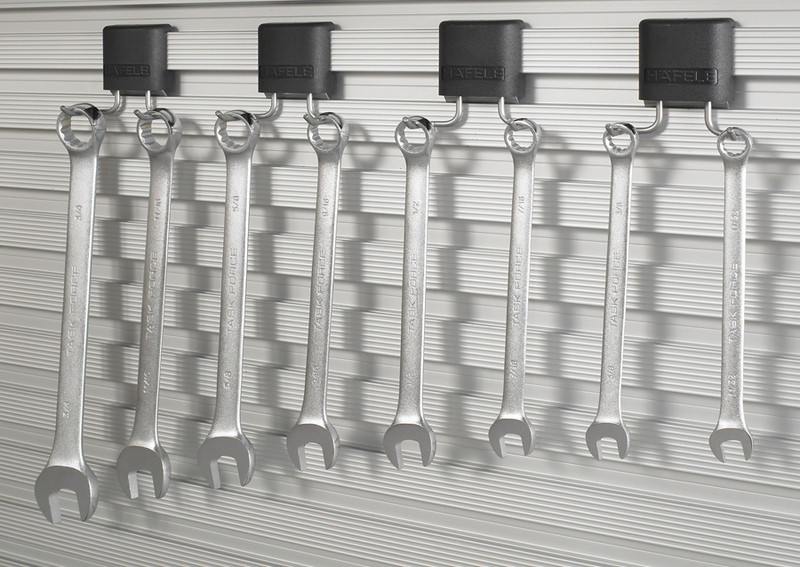 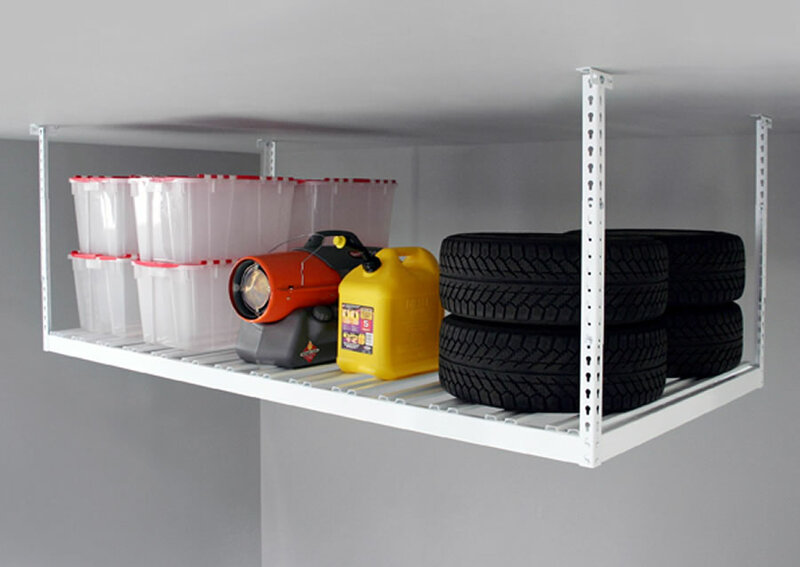 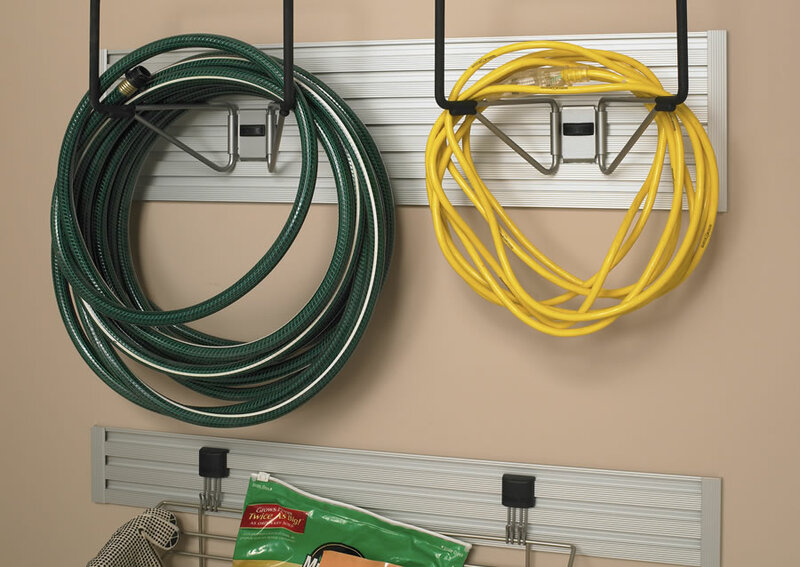 All-steel organization products from PremierGarage® include a variety of gridwall organizers, adjustable wall racks, hangers, shelving and overhead storage systems to meet your custom needs. 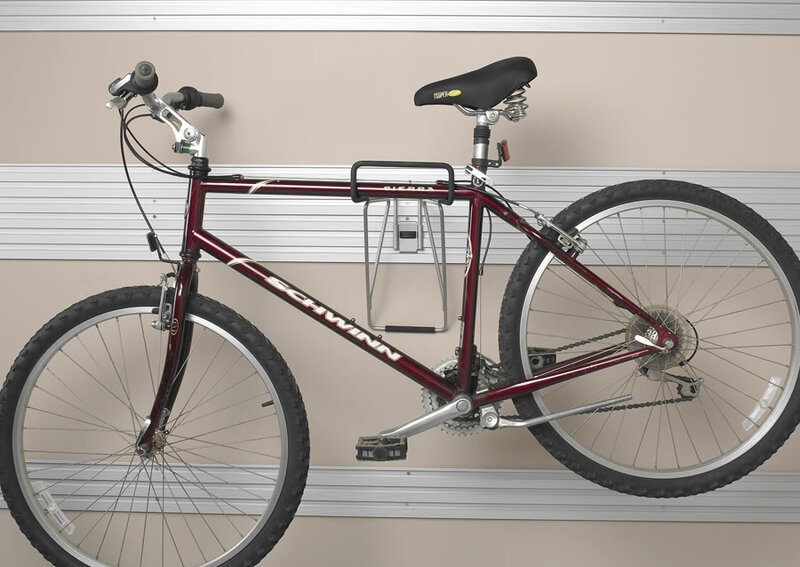 Versatile and expandable, these systems let you easily determine the whereabouts of your belongings and offers easy access. 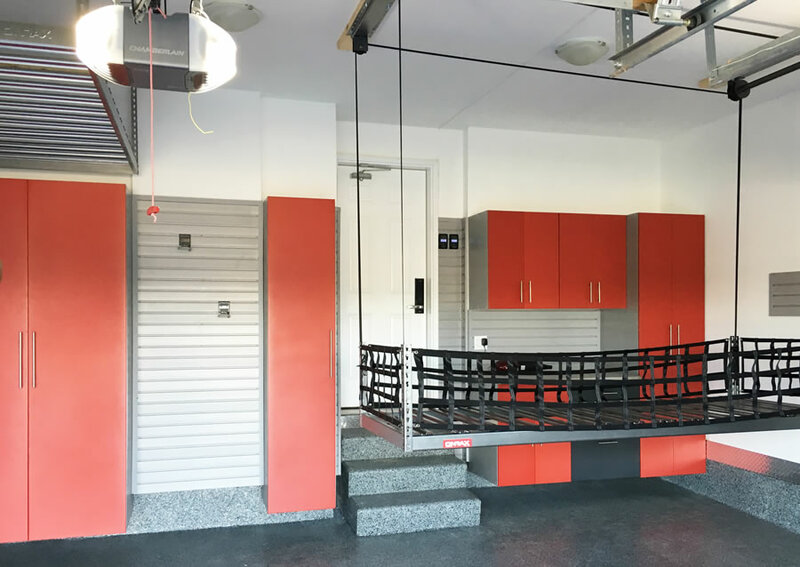 Everything from PremierGarage® Powered by Tailored Living® can be customized to fit your space, your needs, or the looks you desire. 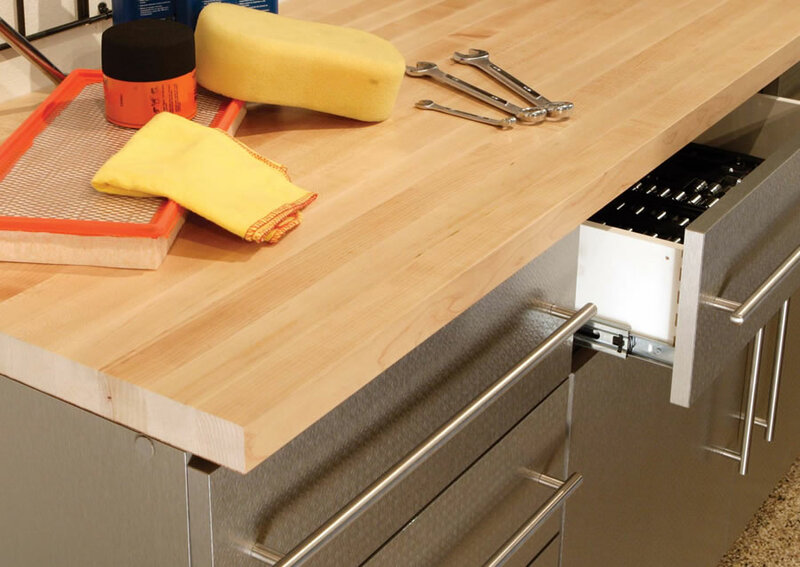 Select the layout, drawers, countertop, and size. 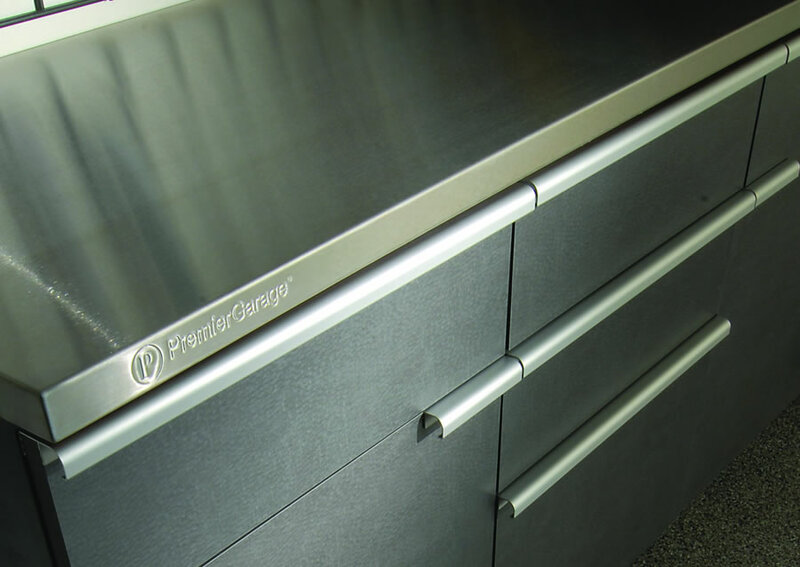 Choose from sliding doors or our standard concealed door hinges. 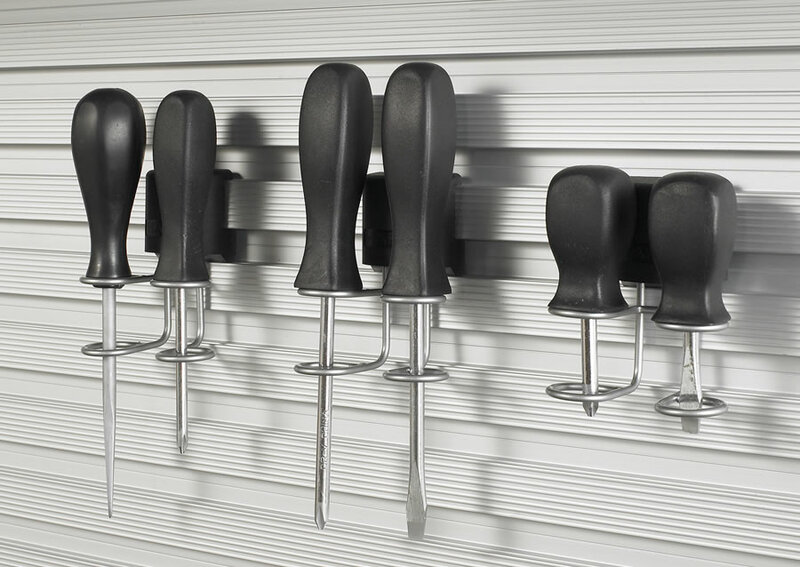 But that's not all - you can even personalize the door pulls. 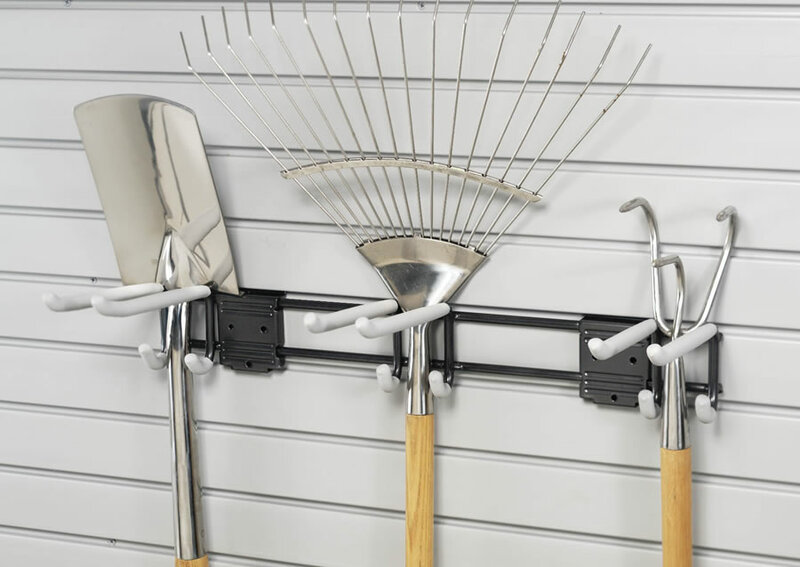 Choose from three unique styles to suit your personal preference.